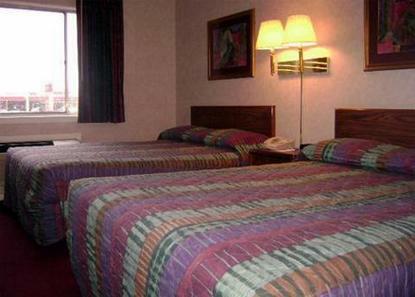 The Super 8 Glen Ellyn is centrally located with easy access to Downtown Chicago and all of its many attractions. The motel is within 45 minutes of the Field Museum, Museum of Science and Industry, Shedd Aquarium and McCormick Place. Wheaton College and the College of DuPage are just 2 miles away. The Drury Lane Theater and the world famous Oak Brook Shopping Center are located 5 miles from the Super 8 Glen Ellyn. We provide free High Speed Wireless Internet, complimentary SuperStart Breakfast, free parking and guest laundry facilities. Enjoy our indoor pool and exercise room. Our rooms feature micro-fridges, hair dryers, coffeemakers, iron and ironing boards. Kitchenettes and Suites are also available. Host your next meeting at the Super 8 Glen Ellyn in our large conference room/hall.